Being a mum to a teenage daughter I know just how hard it can be finding days out that interest them, long gone are the days where they are happy with a couple of hours at soft-play or playing in the garden. 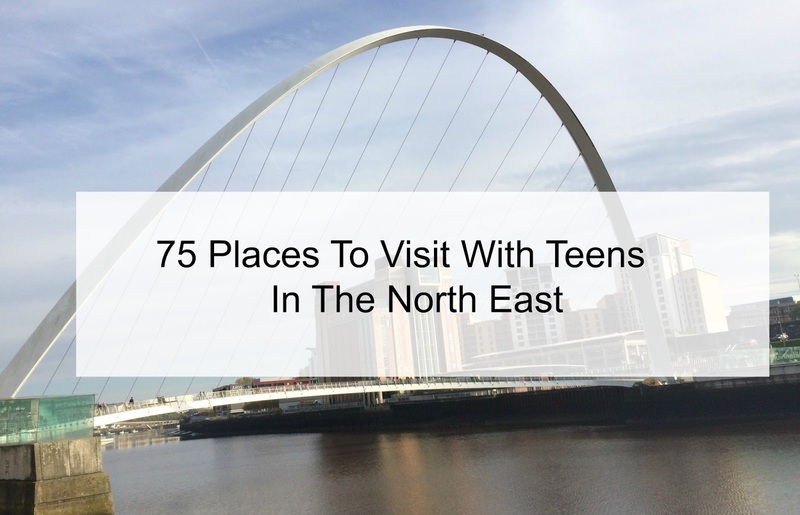 So I have compiled a list of places here in the North East that sound perfect for keeping teen's entertained this summer. At the start of the year, we visited Catpawcino cat cafe on Newcastle's Quayside. My teen loved visiting here and spending time with the cats whilst enjoying a hot chocolate and cake. We have never actually been to Go Ape before but I know so many people who have that have really enjoyed it. I think we really need to visit the one at Maften, Northumberland (just 15 minutes from Newcastle). We are spoilt for choice with trampoline parks here in the North East and they are perfect for teens. This looks like great fun for teens and their parents to take part in together or with a group of friends. I keep meaning to take my daughter to Newcastle Castle, which is just £3.90 for under 16's to enter and £6.50 for adults. It is open daily 10 am - 5 pm and the views from the top are said to be spectacular, great for teens Instagram photos! The GB Cupcakery at the Quayside in Newcastle not only do amazing cakes and afternoon tea's but also rather delicious freak shakes too. These are always a big hit with my daughter. 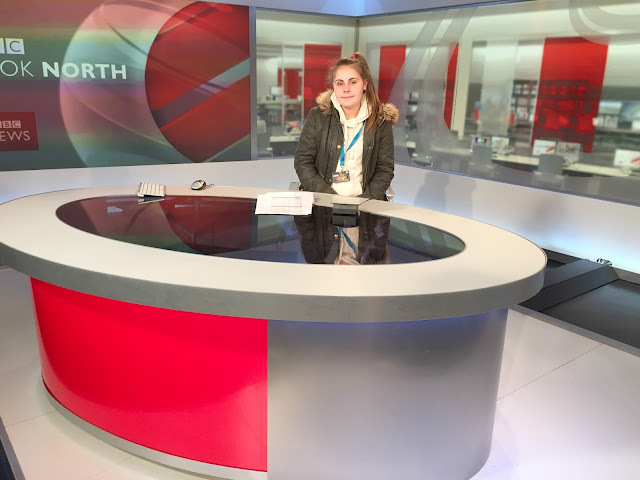 Earlier this year we visited BBC Newcastle and took part in a tour of the studio. I would not recommend the children's tour for teen's but I am sure they would be fascinated by the adult one. Billed as being Newcastle's best escape room, Exit is located on Westgate Road in Newcastle - near the 02. Under 16's do need to be accompanied by an adult, but I imagine it would be great fun as a family to spend an hour locked in the room using teamwork to see if you can escape before the hour is up. With bowling allies all over the North East, it is a fun way to spend a few hours with friends or family. If you have a football mad teen than a stadium tour of their favourite club is sure to be something they will enjoy. You get to sit in the manager's chairs, have a look in the changing rooms as well as lots of other behind the scenes areas and experience lots of photo opportunities. If you head to Seahouses in Northumberland you can book to go on a boat trip to the Farne Islands, you can spot seals and Puffins and it really is a lovely experience. A game of Laser Quest is sure to be lots of fun for groups of family or friends, my teen recently visited the one in South Shields with her friends for a birthday. Not technically in the North East but not far away in North Yorkshire is Forbidden corner a unique day out. You can read a review of Forbidden Corner by Rockandrollpussycat to get an idea of what of what it is, you do need to pre-book tickets before you visit. You can go on a river cruise in Durham taking in the sites of the historic city, cruises last an hour and you pay when you get on board at a price of £8 for adults and £5 for children. On the 17 August 2017 St James park will once again open its doors to fans for its annual open day. Fans can watch a first team training session and there will be a fan zone outside the grounds with activities. The open day runs from 9 am until 2 pm. I really want to take my teen to visit the Victorian tunnel which is under Newcastle, as I think it will be really interesting. Canny Food recently wrote a review about her visit to the Victorian Tunnel. With rinks in Whitley Bay and Billingham, a day out ice skating is sure to be fun for teens. You can't beat a trip to the cinema and myself and my teen often go to see films together. 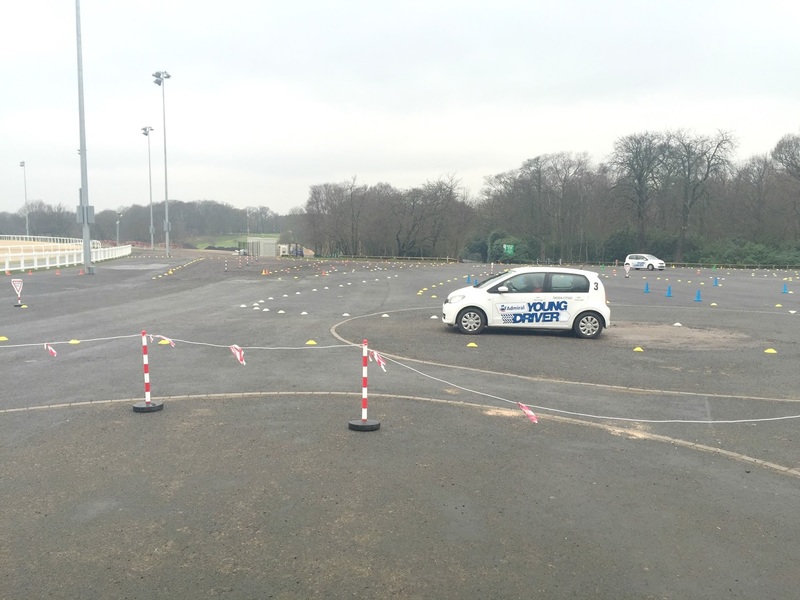 Earlier this year we reviewed Young Driver driving lessons at Gosforth Park Newcastle, my teen loved this lesson and I will certainly be booking her more in the future. With a bowling alley, mini golf course and a decent food menu this is somewhere I just know my teen will enjoy visiting and I really should take her. I love the idea of glamping and Pot-a-doodle-do in Berwick have cute huts you can stay in as well as a pottery painting studio on site. I am so tempted to book us an overnight stay here as it looks like a fun experience. This pirate themed escape room in Whitley Bay looks like lots of fun. The Chinese State Circus will be arriving at the Town Moor Newcastle on Tuesday 22 August until Wednesday 30th August. As well as a zoo Kirkley Hall also have an activity centre, you can go on the zip line, try your hand at archery, climbing towers and assault courses. My teen actually tried the climbing wall last year and loved it. Located at Forest-in-Teesdale in County Durham this waterfall is stunning and teens will love taking photos of it for social media. There are lots of go-karting tracks here in the North East which make a fun and exciting day out for teens (and parents). We love Beamish for a family day out and it is the one place we can go as a whole family that my teen enjoys just as much as my toddler. If my daughter is up early enough (which is rare these days as she often sleeps until lunch time) we love a wander along the quayside market. We normally stop off for lunch somewhere after having a look at the stalls. Head to the MetroCentre for back to school shopping and really make a day of it, stop off for lunch and maybe even a trip to the cinema or arcades while you are there. Clip and Climb activities are popping up all over and most leisure centres now have them. Wet and wild waterpark in North Shields is a fun way to spend the day, teens will love the white knuckle slides. Living in the North East we have an abundance of castles in the region, so why not visit a castle with your teen and they might even learn some history while on a day out. This looks like so much fun, for children over 10 years old and prices start from £15pp. You can't beat a stroll along the beach and an ice cream or fish and chips, my teen loves doing this just as much as her little brother and sister do. This treetop, high-rope course is sure to delight. Sometimes just going for lunch somewhere your teen picks is a nice way to spend time, 9/10 my teen picks Nando's. Ocean Beach fun fair in South Shields is a somewhere we often visit, my teen loves riding the rides and having fun. We love visiting Alnwick gardens as it is a lovely day out for the whole family to enjoy. The North's Maritime attraction is sure to be an interesting day out. Home to Northern Europe's largest man-made lake there is so much to discover at Kielder water and forest. From bike riding, water activities and adventure activities there is something for everyone. Spend the day in Newcastle shopping for back to school essentials and you can also have a look around the shops, go for lunch or stop of freak shakes and really make a day of it. JJB soccer dome in North Shields indoor soccer pitches that football fans will enjoy visiting. Discover Newcastle on one of these self-guided walks, with optional treasure hunts. It is a fun way to explore the city. An afternoon spent pottery painting is a nice way to spend time creating something that you can keep. We love going on trips to nearby cities such as Edinburgh and York and Virgin East Coast has a fab half price family travel offer on at the moment. Eldon Leisure Centre in Eldon Square Newcastle has so much to do, not only is it a gym but it also has extreme climbing, bowling among other things. Having a wander around Tynemouth market on a Sunday is always something my teen enjoys doing. You have to escape a maze, it is a very 'Crystal Maze' type experience that sounds like lots of fun. It is located on Scotswood Road in Newcastle. Tackle the UK's highest high-rope adventure course, set over 4 levels with 38 unique challenges to conquer, this is sure to be an adrenalin packed day out. Horse riding can be great fun and most riding schools have special summer riding camps and offers on during the summer to get youngsters in the saddle. If your teen likes playing video games such as Call of Duty then they will love Laser Battlefield as it is a laser combat gaming experience which can be played both in and outdoor. Active teens will have fun at Newcastle climbing centre who offer both in and outdoor climbing activities. Teenage girls will love having a pamper day, my daughter loves going to get her nails painted at the local salon and getting her eyebrows shaped. Not really the North East but you do depart from North Shields, a mini-cruise with DFDS to Amsterdam is something I have been thinking of doing with my teen lately. They are super cheap at times and I think it would be an adventure. We may not have any theme parks here in the North East but we are not far from Lightwater Valley and Flamingoland and they both make great day trips. Having friends around for sleepovers is always fun during the summer when you can have late nights. If they are brave you could always let them camp out in the garden overnight instead. I have always wanted to visit Kielda Observatory and think this would be such a memorable experience for anyone no matter what their age. My daughter is always on her phone, so sometimes a day in the countryside - with no internet connect does her good. If you have a Harry Potter fan then they will love visiting Alnwick Castle and seeing where some of the film was filmed. Local leisure centres seem to have a lot on for youngsters this summer, mine has free swimming for on certain days. English Heritage has lots of outdoor theatre performances this summer, with shows such as A Midsummers Tale which many will be learning about at school. Why not read my post about English Heritage events. Sometimes you just need a lazy day at home, watching a film and ordering a takeaway. If you have any suggestions for places to visit with teen's here in the North East do let me know in the comments below. The National glass centre in Sunderland is well worth a look, they have regularly updated exhibits, glass blowing demonstrations, workshops (for a fee) and a fab gift shop and cafe. Entry is free too.